You may have known Telltale Games would be releasing the third season of its Walking Dead game series starting today, but were you expecting twice the content? 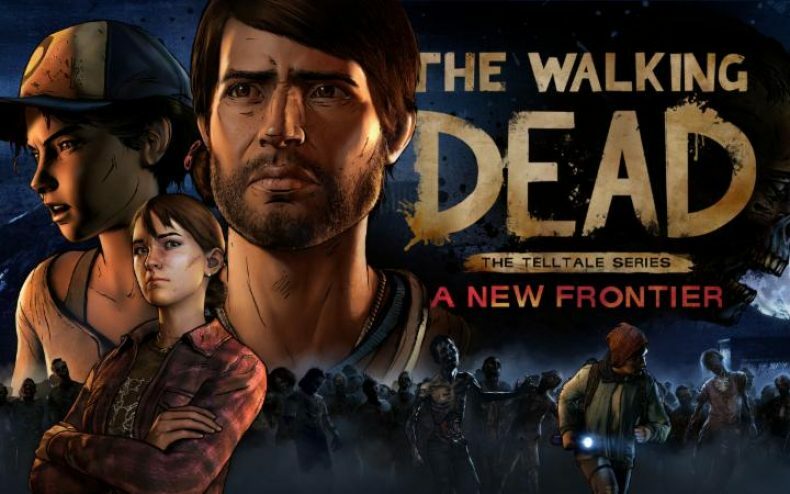 Both the first and second chapters of Telltale’s Walking Dead: A New Frontier launched this morning, under the titles “The Ties That Bind” Part 1 and 2. The new season follows an original protagonist named Javier, but you will get to meet familiar faces in the storyline — Clementine from Seasons One and Two plays a major role. For now Season Three is only available digitally, but a disc version will arrive in stores beginning in February. 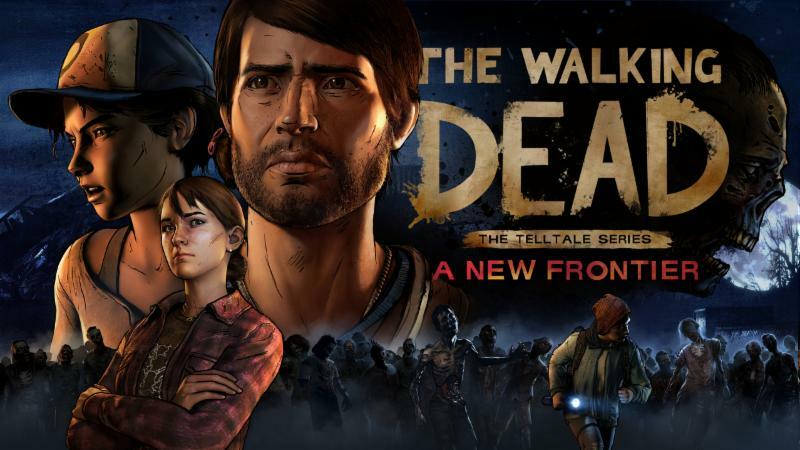 Check out the launch trailer, and see Telltale’s press release below for more. SAN RAFAEL, Calif., Dec. 20, 2016 — Leading publisher of digital entertainment Telltale Games and Robert Kirkman’s Skybound Entertainment, announced today that The Walking Dead: The Telltale Series – A New Frontier Episode One: ‘Ties That Bind’ Part I & Episode Two: ‘Ties That Bind’ Part II are now available for download. These first two of five episodes in The Walking Dead: The Telltale Series – A New Frontier are available starting today on PC from the Telltale Online Store, Steam, and other digital distribution services, on the Xbox Games Store for Xbox One®, and on the PlayStation®Network for PlayStation 4. The episode will also be available this week for compatible iOS devices via the App Store, and for compatible Android-based devices via Google Play. Release dates for additional platforms will be announced in the near future. Beginning in February, the series will also be available for purchase on a special ‘Season Pass Disc’ for PlayStation 4 and Xbox One consoles, which will include the premiere episodes for the third season, as well as access to all subsequent episodes in the five episode season for download as they become available. Players can purchase the season for their favorite platform now by visiting https://telltale.com/series/ the-walking-dead-a-new- frontier/#buy. 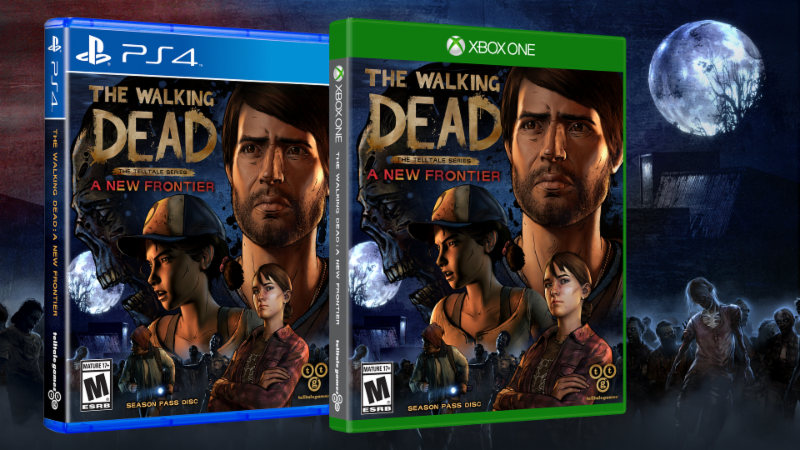 The Walking Dead: A New Frontier will act as both a new beginning for players fresh to the series and unfamiliar with Clementine, as well as a continuation for players who have experienced Seasons One and Two. Players new to the series will be able to start a story that is tailored to this new beginning. Players continuing onward from prior seasons will have multiple options for quickly configuring their tailored backstory, or importing past save files from various platforms. For more information on the game, visit the official website, Facebook, and follow Telltale Games on Twitter. For more information on The Walking Dead, Robert Kirkman, and all of his titles, visit www.Skybound.com and www. TheWalkingDead.com.